Dear Readers, last week I got the news that I had managed to pass my month-long, intensive Teaching English as a Foreign Language course. I had gone into the course knowing that I was disciplined and capable of hard work, and that I had twenty years of teaching IT to fall back on. And all went well until week three of the course, when I managed to fail one of my lessons. Each of us had to teach nine lessons in all, so, objectively, this was only a small hiccup. But for me it felt little short of catastrophic. There are few things more damaging to the ego than realising that all your experience counts for naught in this particular circumstance, and that you are as much a beginner as the other folk doing the course who have never taught in their lives. Furthermore, these other folk are literally half your age, or younger. And so you can imagine the amount of self-denigration and misery that was going through my brain when I took an hour off to walk through the cemetery. If there had been tin cans to kick I would have been kicking them, but instead I trudged through the falling leaves, head down, noticing nothing until I was midway through the ‘meadow graveyard’ (now a wilderness of dying dock and seeding willowherb) and noticed the strange seed heads of a sad little tree beside the path. I had never knowingly seen such intricate, medieval-looking objects before. They reminded me of some iron weapon from Game of Thrones, and even put me in mind of my favourite extinct giant mammal, the glyptodon. By the way, everyone should have a favourite extinct giant mammal. I recommend having a look at a megatherium if the sabre-toothed tiger or woolly rhino or mammoth don’t appeal. 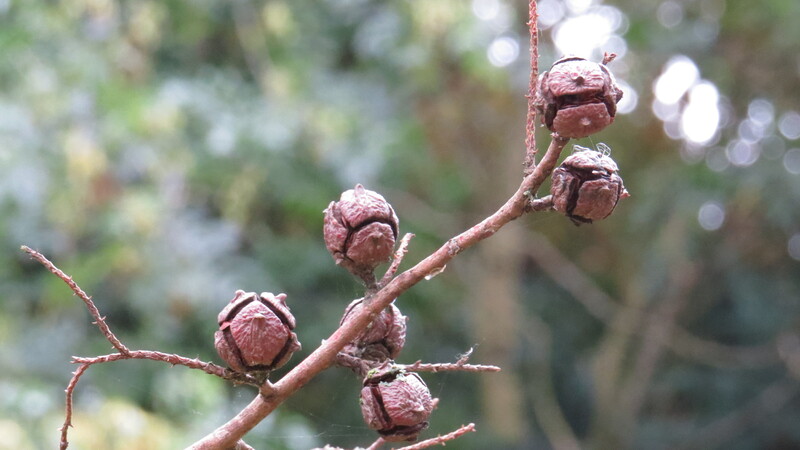 It took me a little bit of time to realise that what I was looking at was actually a form of pine cone, belonging to the Hinoki Cypress (Chamaecyparis obtusa). The cemetery is full of magnificent Victorian conifers, including a few sequoias, so I’d grown used to seeing the huge cones scattered on the ground. But this tree was just a baby, less than twenty feet tall. I wonder if it is a seedling from one of the larger trees, and I intend to have a search for its parent when I have time. This little tree is a long, long way from home. 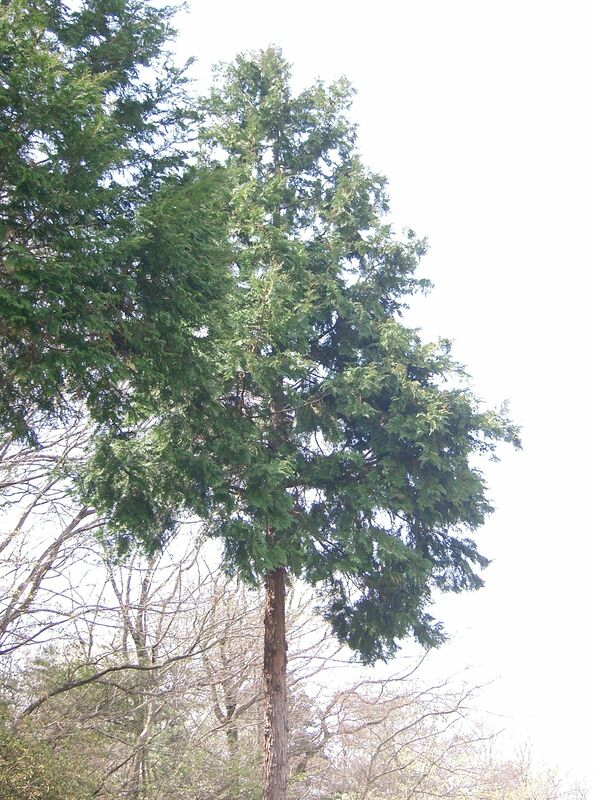 Hinoki cypress trees are native to Japan, and can grow up to 35 metres tall, with a trunk a metre in diameter. The leaves are said to have a sweet eucalyptus scent, and to have a crisp white band at the bottom of each leaf, but the leaves on my tree are brown and past their best. The Japanese name for the tree means ‘tree of fire’, and apparently the stands are quick to ignite if they rub together. No chance of that with my lone tree. 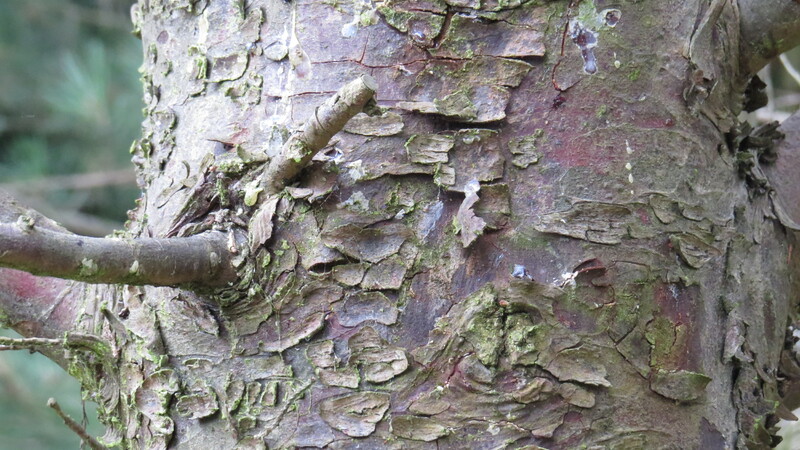 The bark is said to be reddish, soft and rather stringy, and I would concur. There are lots of cultivated varieties (like the one below), some of which are bright yellow, and some of which are sold as dwarf varieties. However, what they really are is slow-growing. 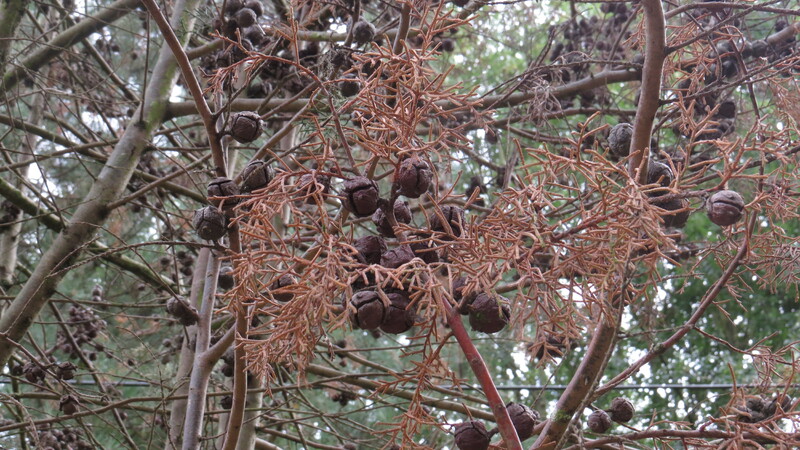 Some of these ‘dwarf’ trees have been growing for 140 years in botanical gardens, and are now 15 metres tall. Not something that you’d want on your rockery, I suspect, but then I imagine few of these trees are allowed to achieve their full potential. 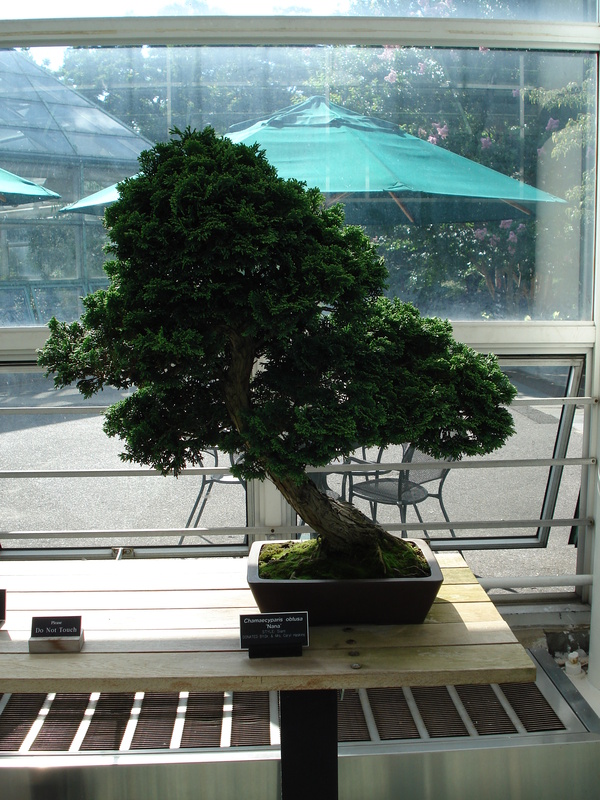 Hinoki cypress are also popular bonsai trees. I admire the skill that goes into the modelling of these little trees, but I hate the way that the roots and branches are prevented from growing by wires and pruning. Surely every tree, at some cellular level, wants to reach for the sky, to produce abundant seeds, to feel the rain and the sun on its branches? Or maybe I’m just over-sensitive. I feel a similar unease concerning the way that we have bred animals into forms that delight us, but which don’t serve the creature. It seems to me that humans never know when to leave things alone. We love to see what’s possible, and that’s both our strength and our potential downfall. Just because we can do something doesn’t mean that we should. 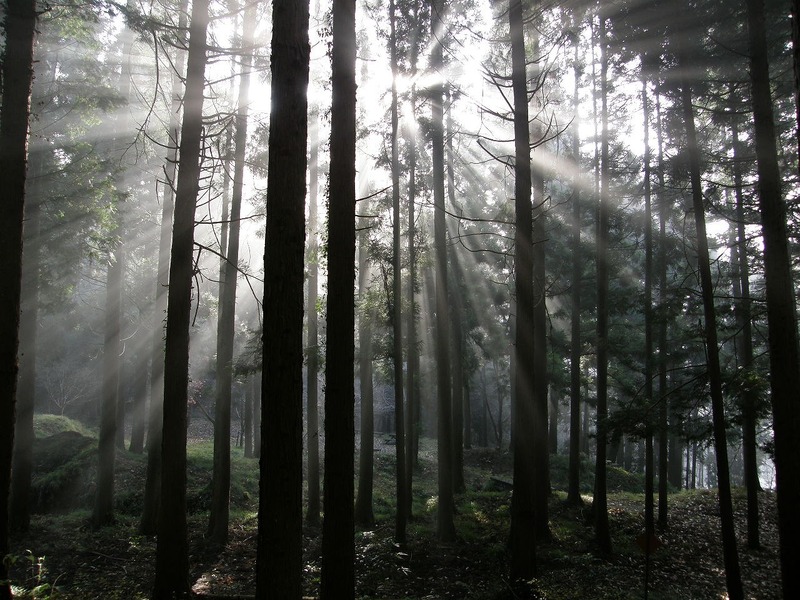 In Japan, the Hinoki cypress is grown for its very high-quality timber. The wood is said to be ‘lemon-scented, light pinkish-brown, with a rich, straight grain, and is highly rot-resistant’. 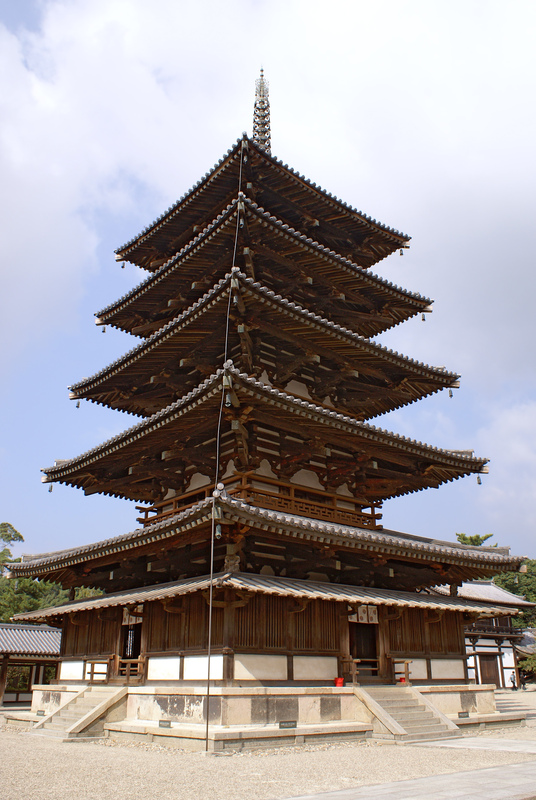 It is used for building everything from theatres to temples, and has been for a very long time: the central wooden pillars in the Buddhist temple Horyu-Ji, in Nara Prefecture, Japan, are said to have been felled in 594. 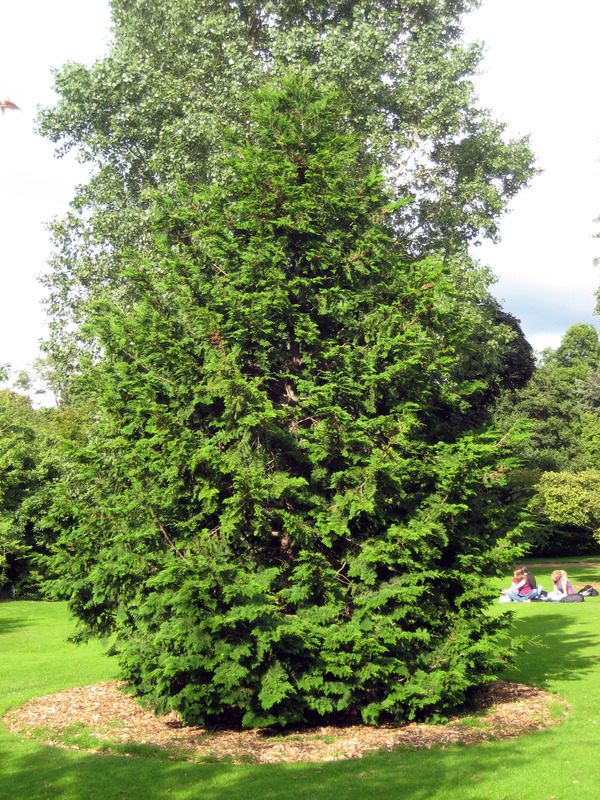 However, the Hinoki cypress is also, like many other conifers, a major source of hay-fever. The wind-borne pollen is so tiny that it easily gets into the inflamed nasal passages, and in Japan in particular, the reforestation following WWII has led to about 20% of the population suffering from seasonal hay fever. The hay fever industry has grown up simultaneously, selling everything from face masks to air conditioning systems. You can even have your nose laser-treated to desensitise parts of your mucous membrane to the pollen. I haven’t heard of this surgery taking place in the UK, but I can think of a few people who would probably go for it if it was available. ‘Ever tried. Ever failed. No matter. Try again. Fail again. Fail better’. This entry was posted in London Plants on September 28, 2016 by Bug Woman. As usual, an excellent ramble. The book for you is ‘The Hidden Life of Trees’, by Peter Wohlleben, Gravestone Books 2015, which I have just finished reading, and which has much to say on the emotional life of trees! 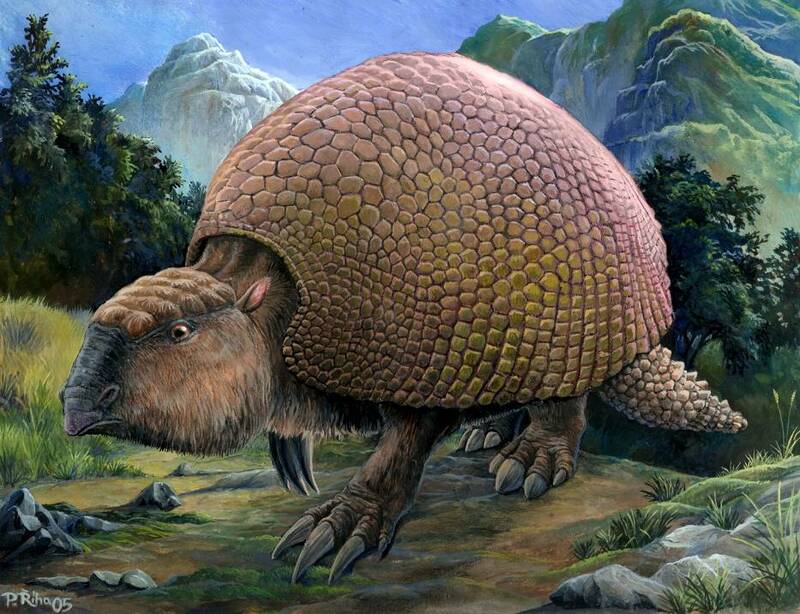 Your endearing glyptodon has the expression of a disapproving granny whose feelings have been hurt. 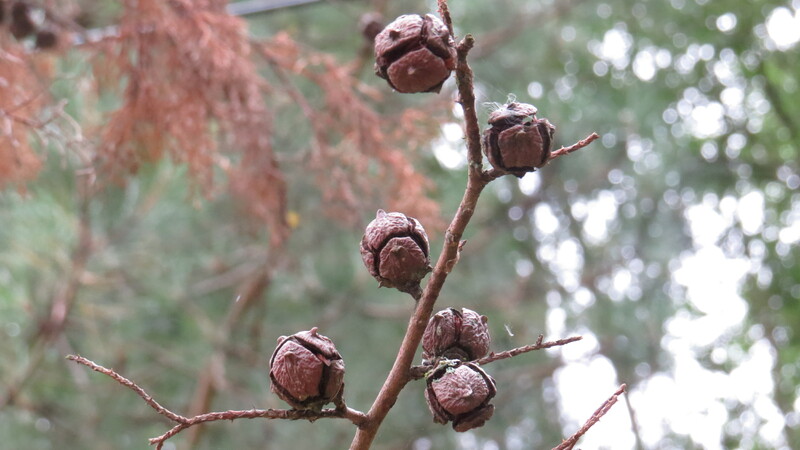 Different matter: will the Hinoki cypress self-seed from the cones? 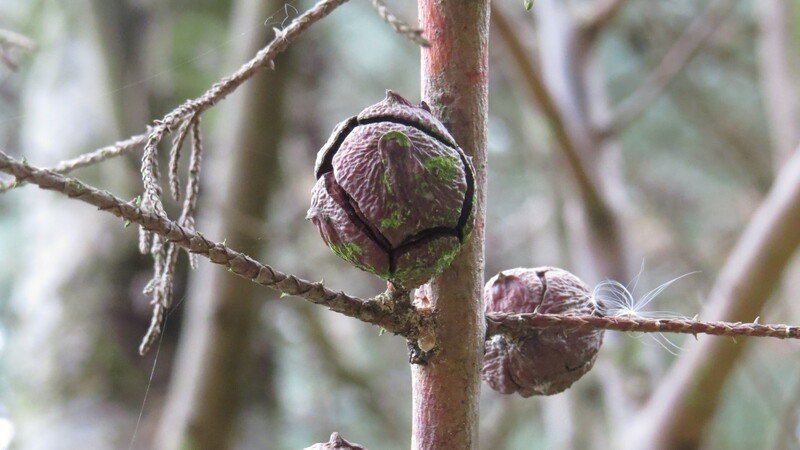 Interesting seed-heads aren’t they? I’ve never seen or heard of this species, thank you for posting about it.